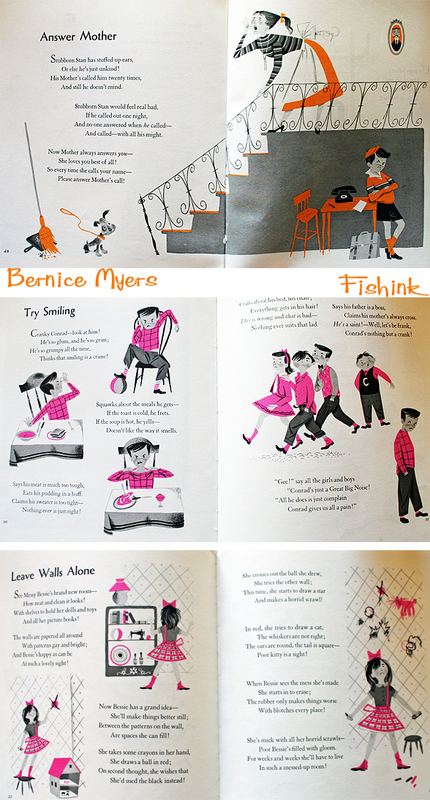 Bernice Myers Illustrations from a working Illustrator. 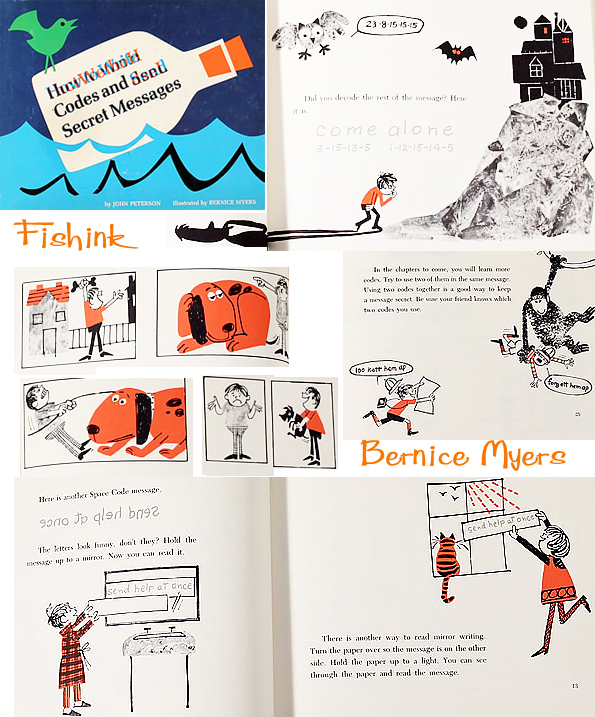 More from the very talented Bernice Myers. This selection is mainly from the 50’s and 60’s, and it’s good to know that the very prolific Mrs Myers, some 60 books later, is still working ! I love the textures and animal shapes in this book. In contrast to this here’s a different style again, and did you know that Being Nice is lots of Fun ? 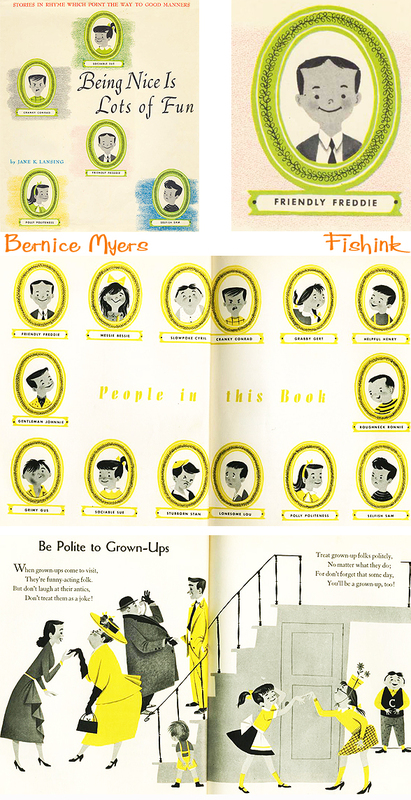 I really like the characters used here, amongst others Sociable Sue, Messy Bessie, Slowpoke Cyril, Cranky Conrad, Crabby Gert, Lonesome Lou, Polly Politeness, Stubborn Stan and Gentleman Johnnie, you can identify their characteristics straight away. 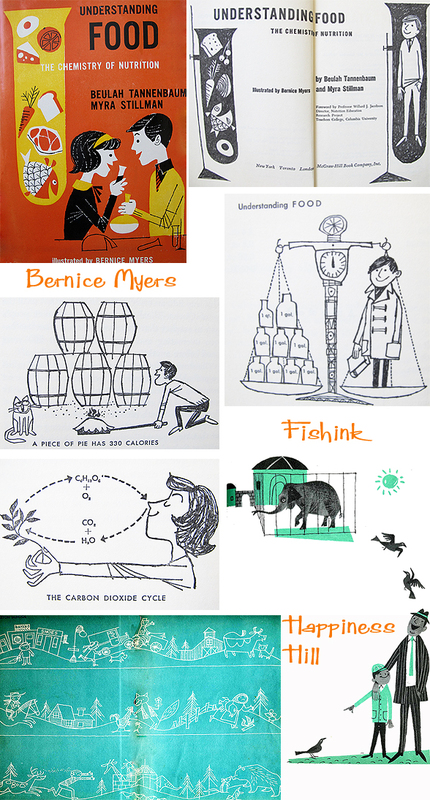 A more technical book but with Bernice’s touch of gentle humour, it makes learning facts less tedious. A couple of famous books, I’m sure you’ll have seen around. This postman always reminds me of Peter Sellers as Inspector Clouseau or Jacques Tati in Mon Oncle. Bernice has already appeared here and here previously on this blog. It seems we just can’t get enough of her 1950’s and 1960’s work. If anyone has any more images I’ve not featured already, I’d love to add them to this post. 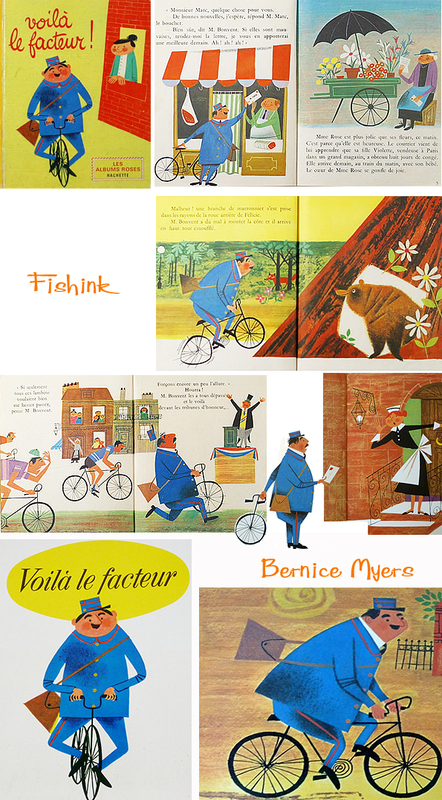 Thanks for introducing me to this wonderful illustrator’s work (How could I have missed it?!) More books to collect! If anyone else knows of some more evil animal related childrens illustrations then please pass them onto sam. thanks again for your help, i appreciate it.